1) Explain what is JAVA web services? What are the methods to create web services? 2) Explain what is JAXP? 3) Mention the JAXB binding framework? 4) Give a simple example of how XML document can be Marshal and Unmarshal in JAVA framework? 5) Explain what does Marshaller do if jaxb.encoding property is not declared? 6) Mention what are the types of validation can a JAXB client can perform? 7) Mention what are the three ways to handle the event encountered during the marshal, unmarshal and validate operations? 8) Explain where does JAXB compiler is located? 9) In what cases do you need to customize the default binding? 10) Explain what is Inline Customization? 11) Explain what is XML signature? 12) Explain what is Stax? 13) Mention what are the usual XML APIs? 14) Explain what is Push parsing and Pull parsing? Push Parsing: In Push Parsing, the parser pushes parsing events or XML data to the application. In push model, the parser got the hold over the parsing process and the parser calls the implemented handler methods. 15) Explain on which technology does XWS security is based on? List out the options that XWS security provides for securing JAX-RPC applications? 16) List out the six packages available in XML Digital signature API? 17) Explain what is JAXR? 18) Explain what does the JAXR architecture consist of? JAXR provider: It is an implementation of the JAXR API that provide access to a particular registry provider or to a class of registry providers that are built on a common speicifications. 19) Explain what is JAXM messaging models? Synchronous messaging model: In such type of model, client directly communicates with the source. In this, the client will send the request and waits. Asynchronous messaging model: In this model, client directs the message to the messaging provider and returns back. Messaging provider then executes the routing of the message to the end source. 20) Explain what is UDDI, DISCO and WSDL? 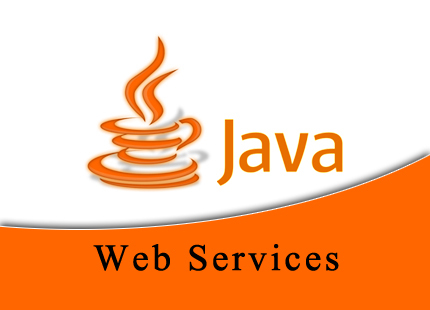 0 on: "JAVA web services Latest Interview Questions For Freshers And Experienced."